Convention: Dr. Buracchi & calciodonne.it together for the "zone diet"
Thanks to the agreement signed with Dr. Buracchi, a well-known Florentine psychologist and nutritionist, the famous "Diet Zone" and author of well 25 scientific publications, we can offer companies and women's football athletes free advice Dr. Buracchi and the famous personalizing zone diet with a special discount. 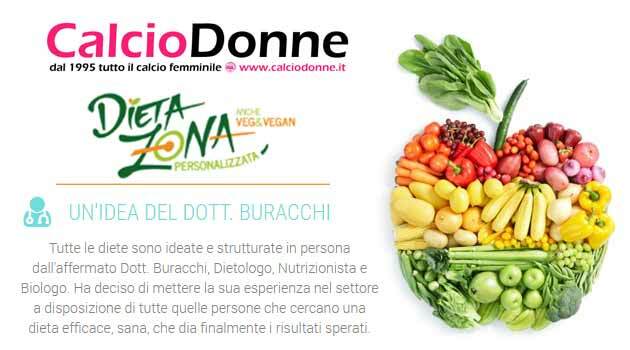 Read more: Convention: Dr. Buracchi & calciodonne.it together for the "zone diet"
A professional and free service for companies, athletes and technicians. I am pleased, in harmony with the director Giancarlo Padovan and the editorial staff, to have developed a consulting and legal assistance collaboration with Avv. 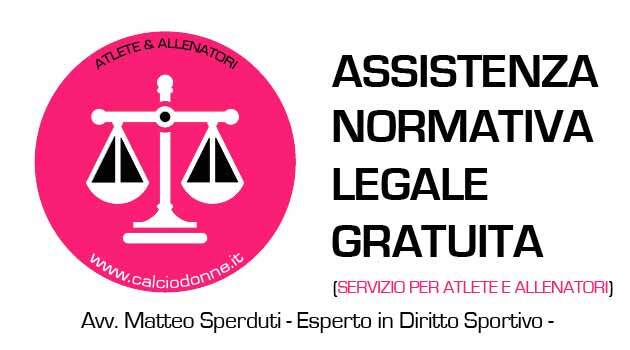 Matteo Sperduti, expert in sports law, to which questions, clarifications and requests for information can be addressed by the companies involved and by the athletes and coaches. After years of evaluations, indecision and deepening, I finally managed to propose a service for ALL the movement and in particular for the presidents of companies that do not have their own representative and are often abandoned to themselves. 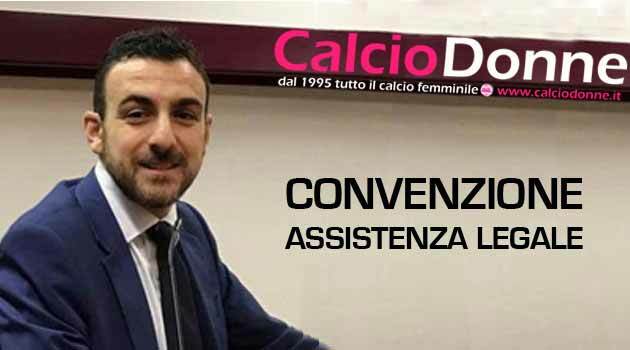 The lawyer Sperduti will give free advice and assistance to the entire constant and periodic female football movement h24 in case of clarifications, doubts or information regarding the topics of daily interest of the companies and members, which can also be provided by telephone by the lawyer.